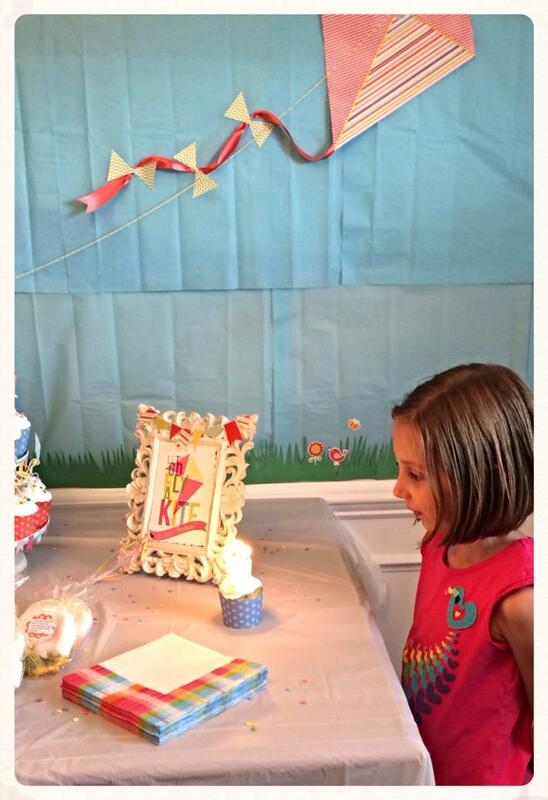 Our amazing daughter turned 8 last week. Wow, 8 seems so old. 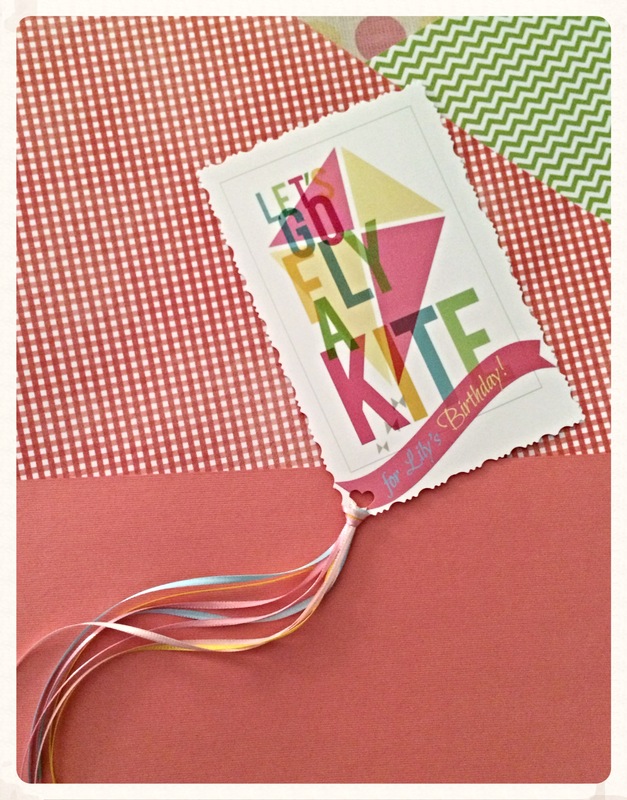 We had a kite party. 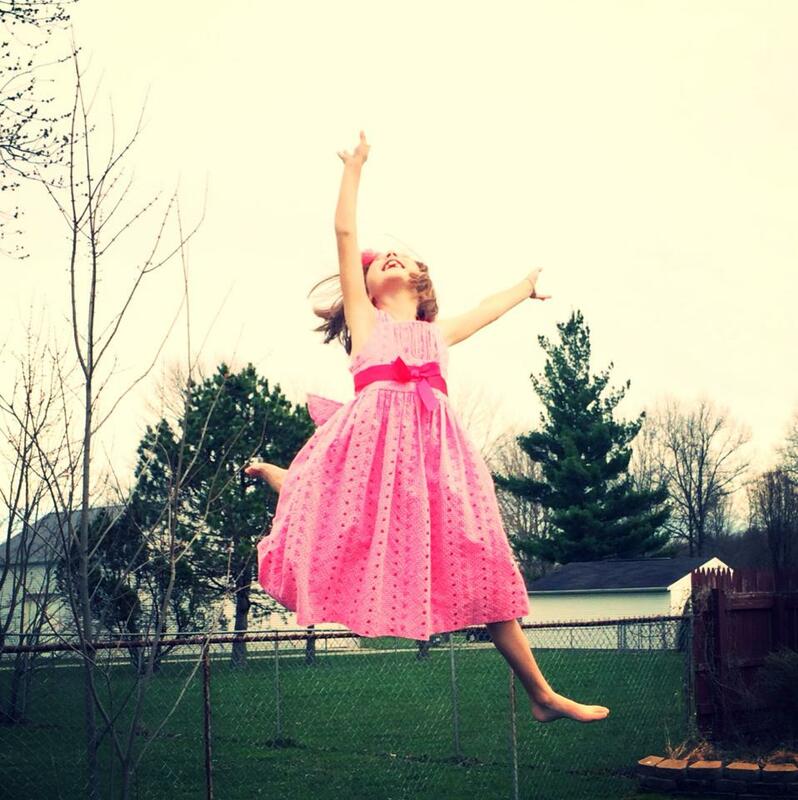 I needed a special picture to use for decorating the party wall, so I dressed her up and told her to jump on the trampoline for me. The pictures I got of her are just so Lily. 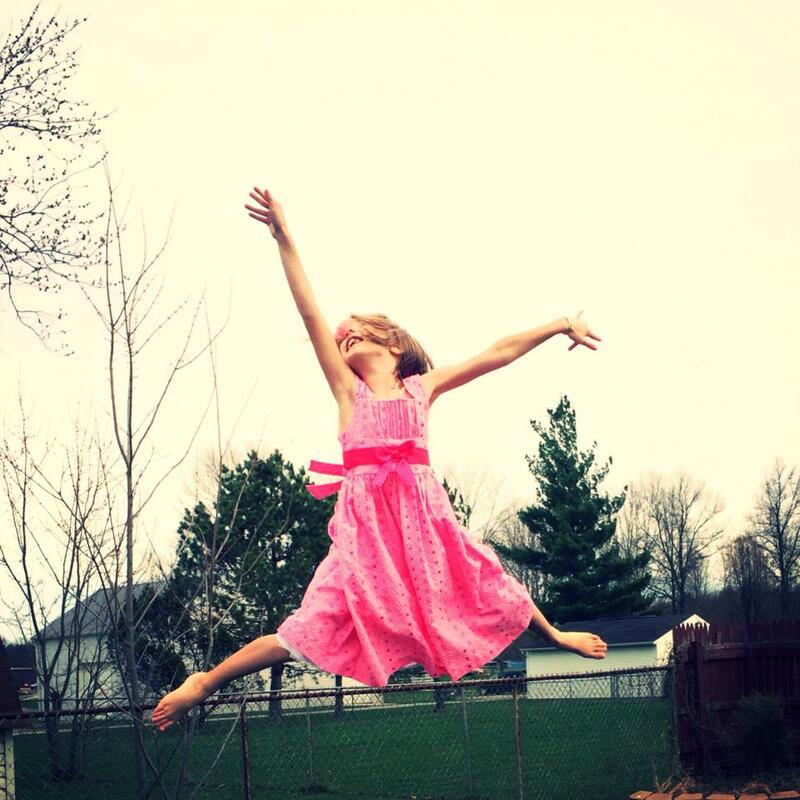 Lily throws her arms wide open and leaps into life with joy and abandon. She is not afraid of anything (except heights). 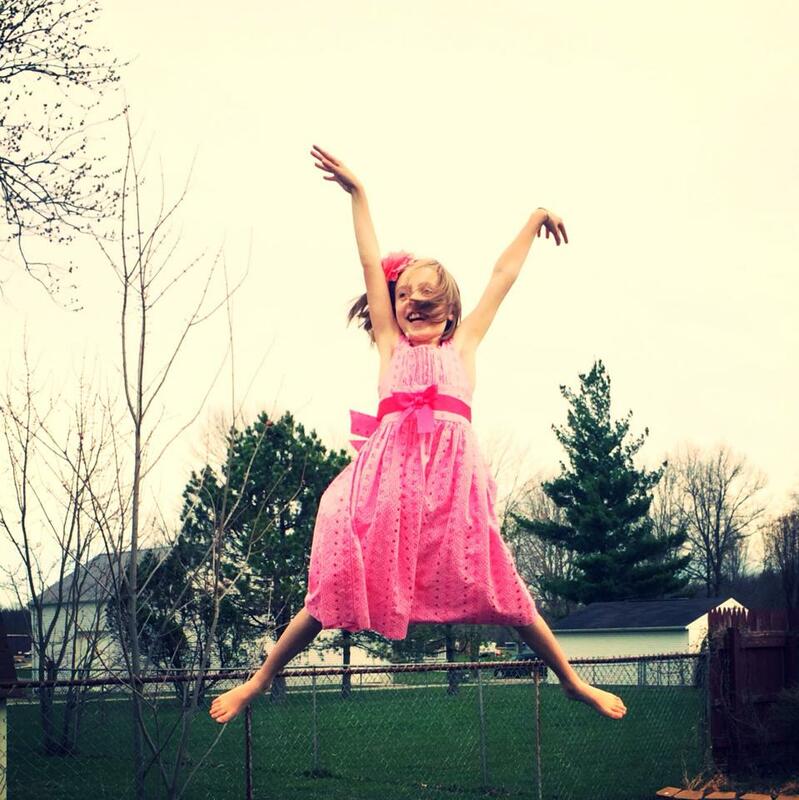 She loves life and the great, beautiful adventure of it. 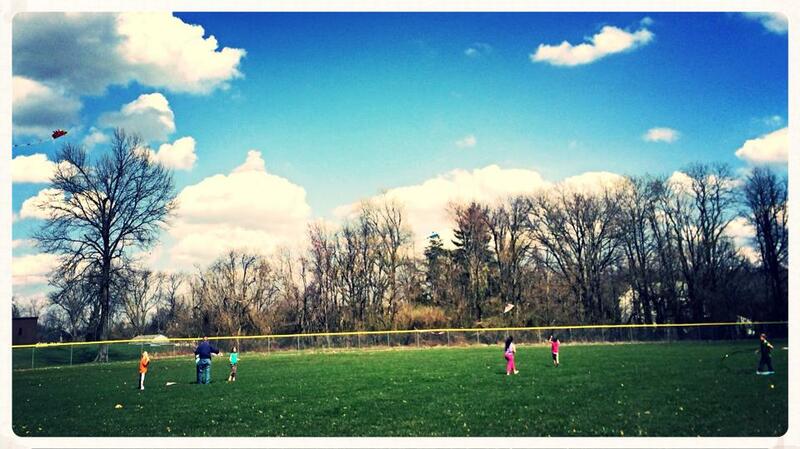 It was a perfect day for a kite party, thanks to Lily praying fervently every day that it would not rain! When we picked the date, rain was in the forecast. But it was a sunshiny, windy day. Thank you, Lord! We kept it short and sweet. 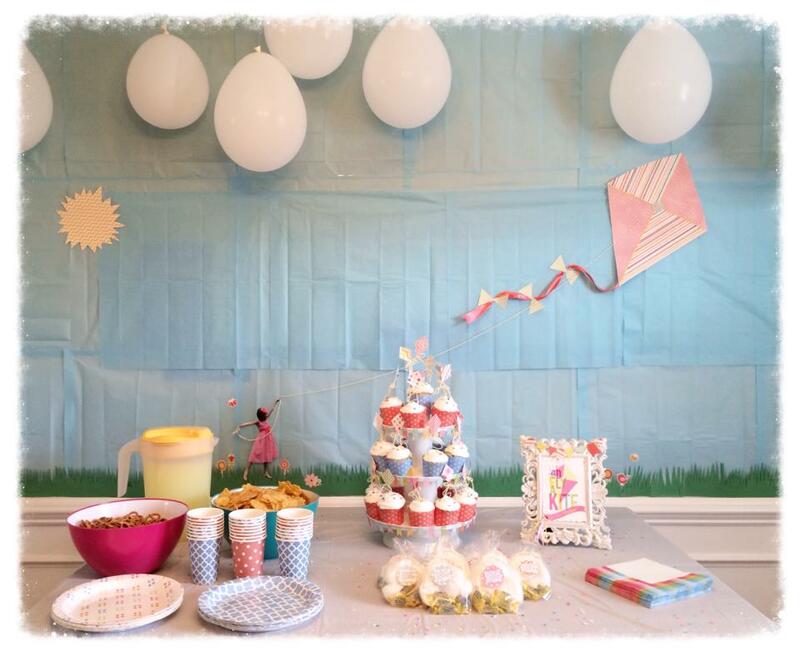 Musical Chairs, Pin the Tail on the Kite, cupcakes and snacks, then outside to a nearby field to fly kites. 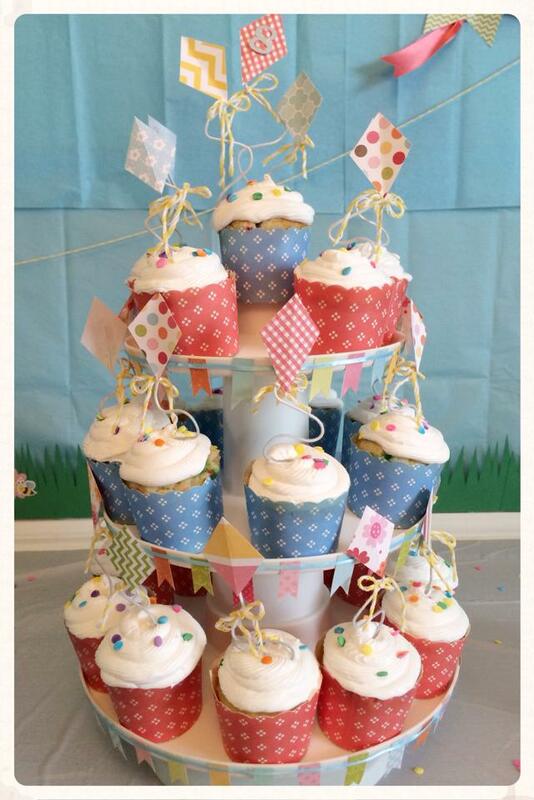 Baking cups and paper tableware came from Pick Your Plum of course! 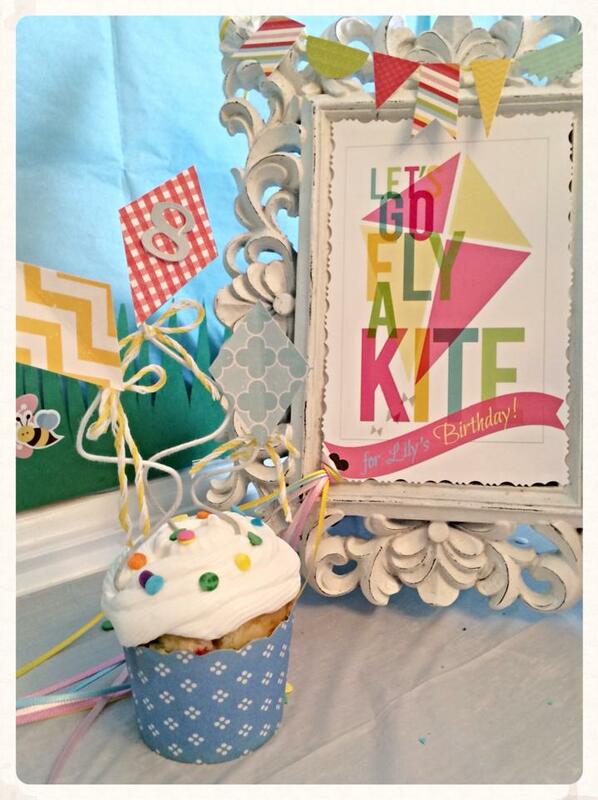 Kite cupcake toppers were made from scrapbook paper and floral wire. Time consuming? Yes! But I seriously love them! 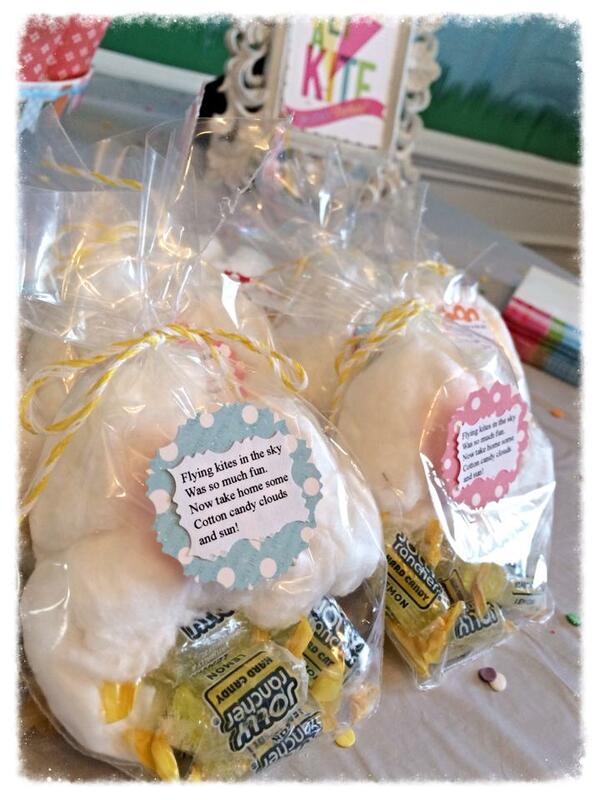 For party favors, I filled treat bags with lemon candy and white cotton candy, tied them off with yellow twine, and attached a poem. The invitations were made by printing off a free printable from TatorTots & Jello and embellishing them a bit with ribbon and a whole punch. I used another Walgreens Photo coupon to print them off, and the price for these invites, including embellishments, came to about 36 cents each. 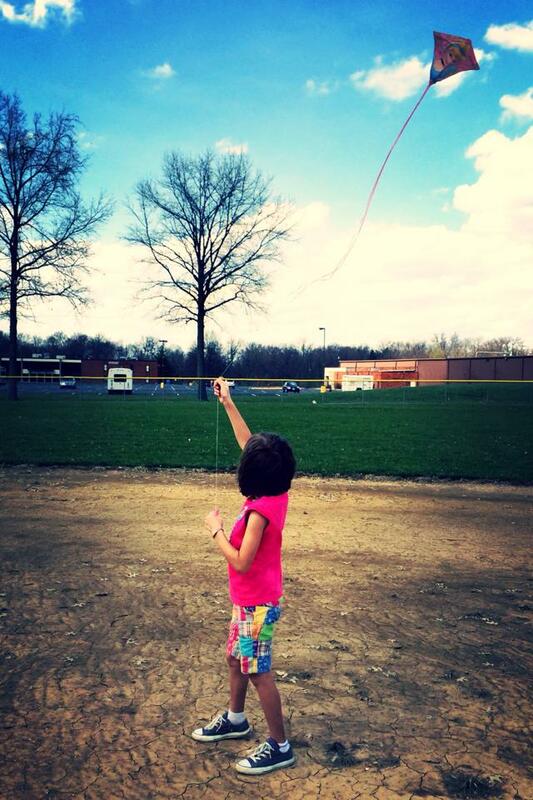 We spent an hour flying kites. 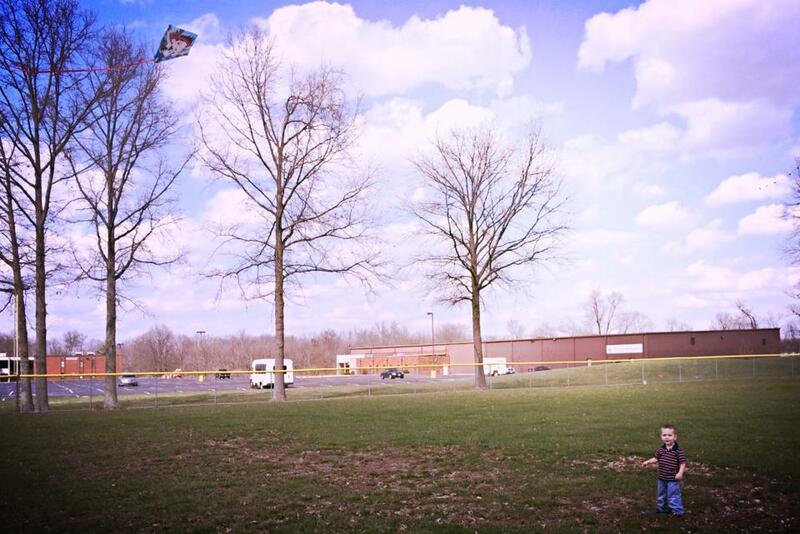 Little brother Max got his kite up higher than anybody else’s! It was a great day. Many memories were made and Lily had a blast, which made it pretty much perfect in my book. OH my goodness you are so creative. Great job. 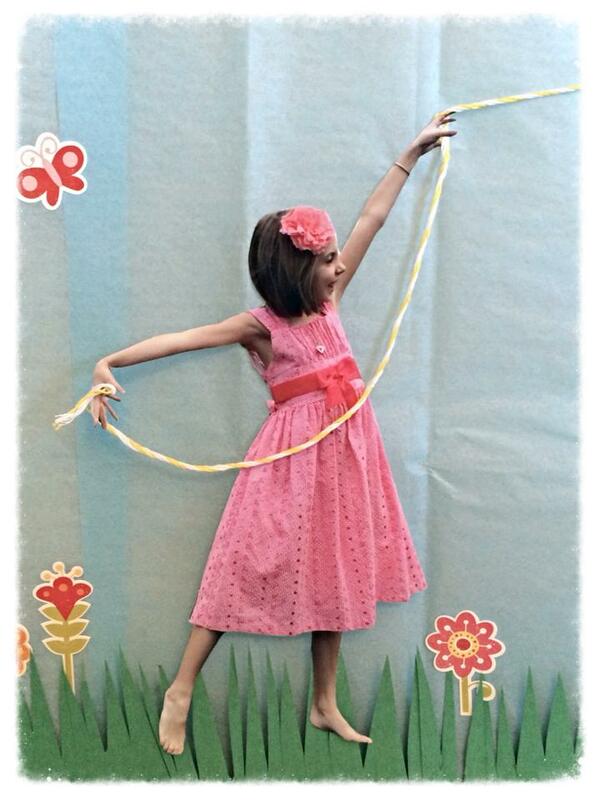 I love all of the little touches like Lily flying the kite in the decorations. It looks like she had a perfect day. Good job Mom!!!! !